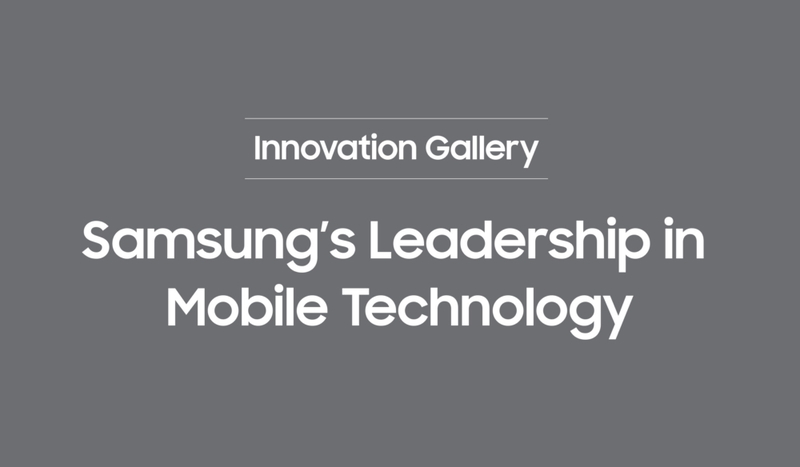 Driven by the simple but profound goal of creating meaningful innovation, Samsung has pushed the limits of mobile technology and set the standard for what the smartphone can – and should – be. By advancing mobile technology, building groundbreaking form factors, and delivering creative solutions, the Galaxy series has helped millions accomplish more on the go. 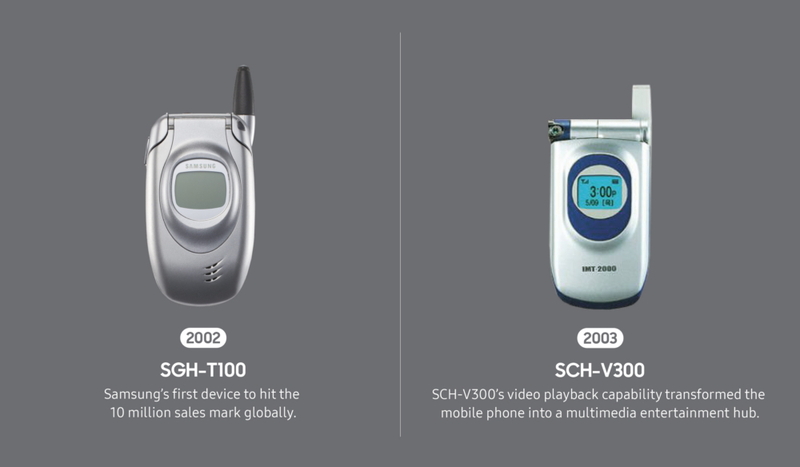 As the flagship series celebrates its 10th anniversary, we want to reflect on just how far we’ve come in our journey of mobile innovation. It’s the perfect opportunity to look ahead at what’s in store for the decade ahead and share how Samsung will continue to test boundaries. 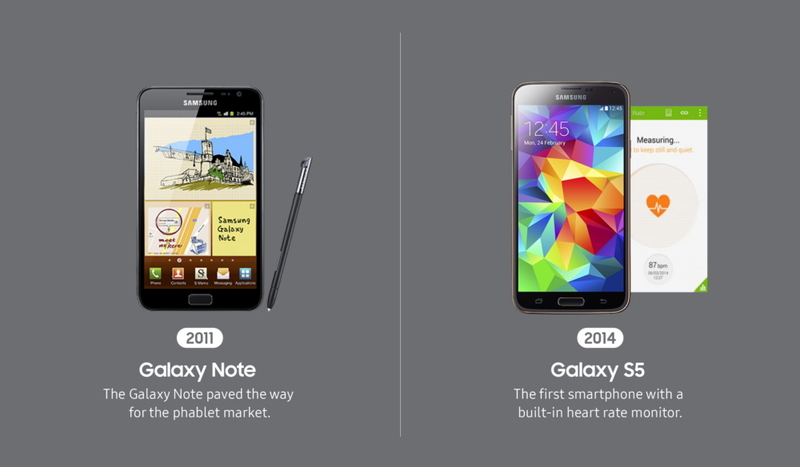 Samsung has never been one to shy away from big ideas. 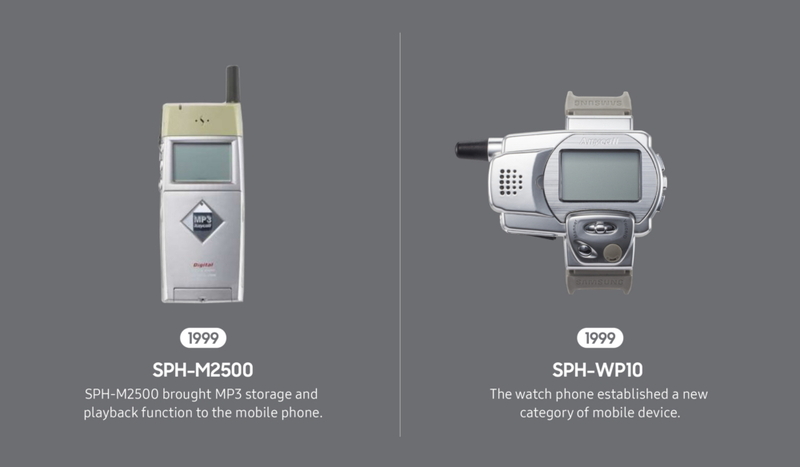 Long before the first smartphone, engineers in Suwon, South Korea were re-imagining every element of the mobile phone, setting in motion the trends that have shaped the mobile technology today. 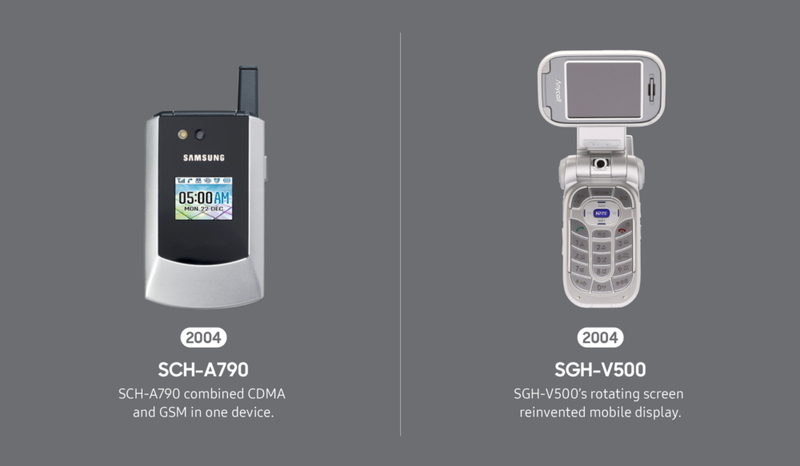 Right from the beginning, Samsung saw the potential of turning the mobile phone into a multi-functional device. 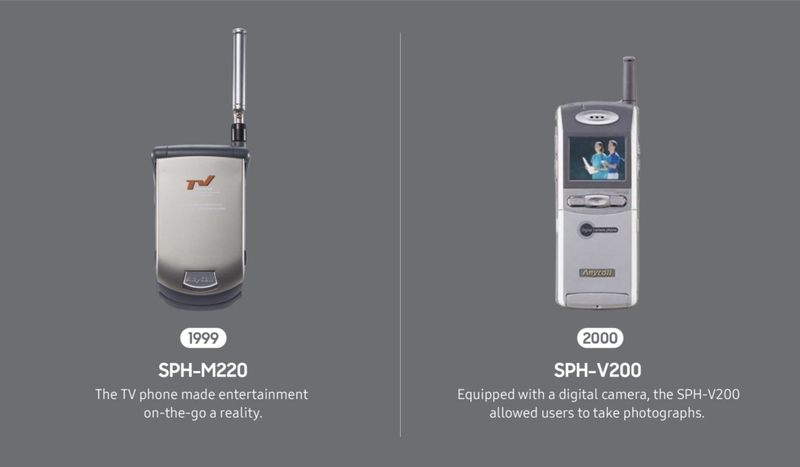 The release of the TV phone in 1999 brought entertainment to the palm of our hands, while the built-in 10-megapixel camera on the Samsung B600 brought high-quality photography and the mobile phone together. Meanwhile, the desire to expand mobile capabilities led to creative solutions. Years before “smartwatch” would become a household term, innovators at Samsung developed the watch phone in 1999 to enhance productivity on-the-go. 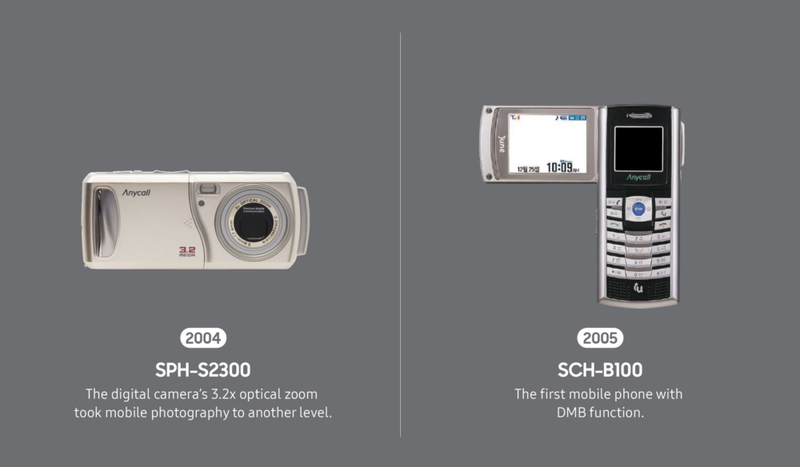 Improving user experience was also a core aspect of Samsung’s innovation DNA in the early years. In 2002, Samsung launched the True Color Phone, introducing the world to the active matrix LCD display, and paving the way for the innovations in mobile display technology that are synonymous with the Galaxy series. The lessons learned from the early years positioned Samsung to lead the industry at the start of the smartphone era. Guided by the value of open collaboration, Samsung joined forces with Android to push the frontier of mobile technology – a move which led to the birth of the Galaxy series. In March 2010, Samsung launched the first Galaxy S series device. Packed with best-in-class technology – including a powerful GPU, a 4-inch Super AMOLED display, and a 5-megapixel camera – the Galaxy S created the blueprint for a mobile experience that enriches and simplifies everyday life. Building on the achievements of Galaxy S, Galaxy SII and Galaxy SIII delivered even more relevant benefits to users, cementing Samsung’s status as a pioneer in the smartphone industry. 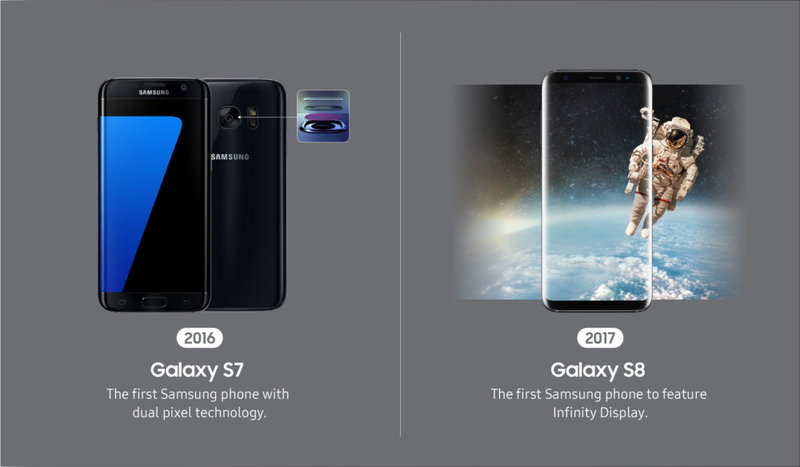 Over the years, the Galaxy series continued to break new ground, improving and expanding the smartphone experience with each new device. The Edge Display curved the smartphone screen for the very first time, creating an immersive screen. The Infinity Display pushed bezels to the very edge of the phone, expanding the screen size without needing a larger phone to create the ultimate, uninterrupted viewing experience. In 2011, the Galaxy Note established an entirely new mobile category — the large screen smartphone and debuted the S Pen. With increased screen real estate, users could watch, multitask and create more. The Note debuted the iconic S Pen, delivering new ways to interact with the smartphone. Alongside the development of hardware, the Galaxy ecosystem has grown every step of the way to make connected living a reality. A suite of functionalities emerged that came to define the Galaxy—the flagship features that users looked for in every new device: Samsung Knox, Samsung Pay, and countless other services and capabilities that made a Galaxy. Samsung has established a rich legacy of innovation and has shaped the smartphone experience for hundreds of millions of consumers around the world. But we’re not resting on our laurels. We’ve set our sights on Galaxy’s future and are focusing on engineering the technologies and breakthroughs that will continue to transform the mobile landscape. At the 2018 Samsung Developer Conference, Samsung unveiled the Infinity Flex Display, marking the beginning of the era of foldable smartphones. It also introduced its new interface that simplifies and streamlines the user experience and gives consumers a more natural way to use their phones. 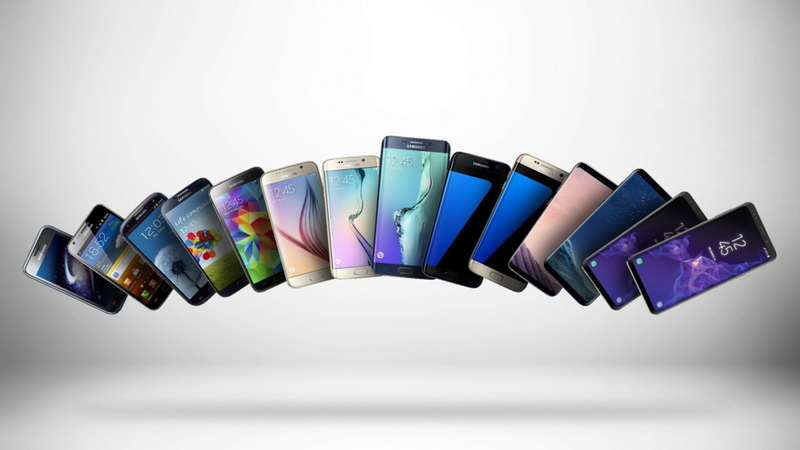 Samsung isn’t just changing how smartphones will look. It’s also changing how they’ll connect. We’re working hard to usher in the next generation of connectivity with 5G. Samsung has more 5G patents than any other company and was the first company to receive FCC approval for its 5G network equipment. Our technology brought 5G networking to South Korea, and in partnership with U.S. carriers, we’ve already brought the first wave of 5G to the United States. We’re committed to putting 5G in consumers’ hands with a 5G smartphone in the first half of 2019. Samsung introduced Galaxy to the world. This landmark innovation opened up a world of possibilities for consumers everywhere and signaled the start of industry-firsts and trailblazing technologies that continue to empower consumers to do what they thought could not be done. The next chapter of the smartphone story will soon begin, and one thing can be said for sure: Samsung will continue to develop meaningful breakthroughs designed to help you do more of what you love.